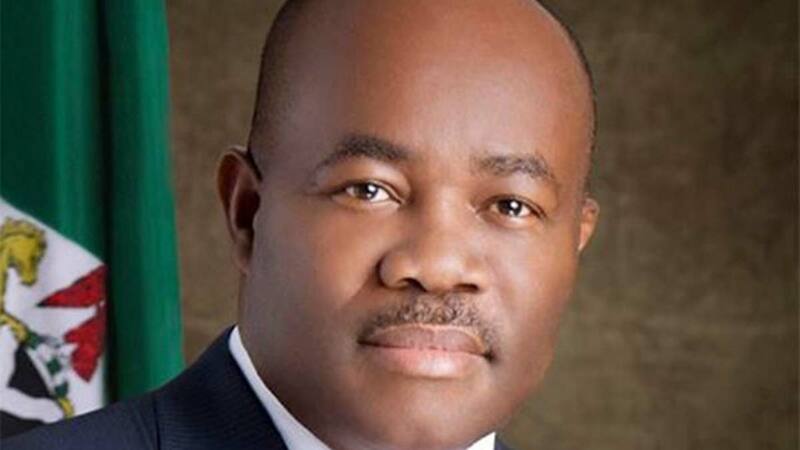 A group, known as Akwa Ibom State Leaders Vanguard, has described the exit of Senator Godswill Akpabio from the Peoples Democratic Party (PDP) as a blessing, alleging that, such action would give governor Udom Emmanuel a conducive ambience to operate.The statement was jointly signed by Senators Anietie Okon, Effiong Bob, Dr. Emmanuel Ukpong, Dr Augustine Usoro, on behalf of Akwa Ibom Leaders Vanguard. Speaking on behalf of the group, Senator Okon alleged that, the incumbent governor had over the years tolerated Akpabio’s overbearing influences, adding that, his defection was a huge relief and a new era for the administration of Udom Emmanuel. 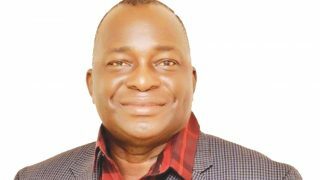 The group opined that, the former minority leader defection to the APC, call for celebration by every genuine lover of Akwa Ibom state.“It calls for celebration because finally we have the biblical Jonah out of our boat of progress. Henceforth, Governor Udom Emmanuel will fully focus on the development of Akwa Ibom State with every financial resource at his disposal instead of being distracted by a so-called political godfather with huge baskets of demands. “Governor Udom Emmanuel will no longer spend meager resources of the state in endless legal interventions whenever anti-graft agencies move against Senator Akpabio.“His decampment is a welcome relief to the PDP both at the state and national levels. This is because of the moral and political burden of managing a party member who was daily facing threats of prosecution, a development that brought shame and reproach to the party was unbearable. By divine arrangement, God has lifted that opprobrium from us and had taken it elsewhere”, the release stated. 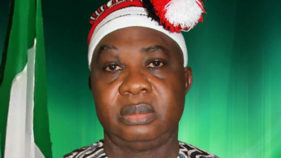 The leaders threatened to withdraw the recent endorsement by the people of Ikot Ekpene senatorial district on Akpabio, as well as declare his seat vacant, stating that, the action was not a sign of anger or disappointment but necessary because Akpabio failed to consult the people whose mandate he is holding in trust. “Never again shall we live under the weight of chameleonic dishonest, double-speak and disloyal members. 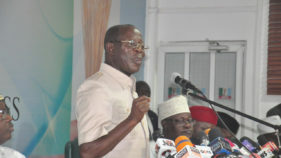 We however are glad that APC has thankfully relieved the PDP in Akwa Ibom State and Nigeria of this undue burden.“When a man is fighting for personal survival and relevance but claims to be a patriot fighting for the interest of the masses, he should be reminded that no man can run away from his shadows”, the statement added.